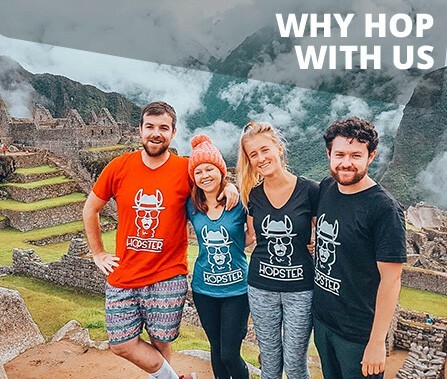 Unlike in other countries where the hop on hop off concept is mainly associated with young backpackers, Peru Hop is unique in that we have an amazing mix of people of all ages from around the world. Often our older passengers love the energy of our younger passengers, whilst our younger passengers love the experience and stories that our older passengers share with them! 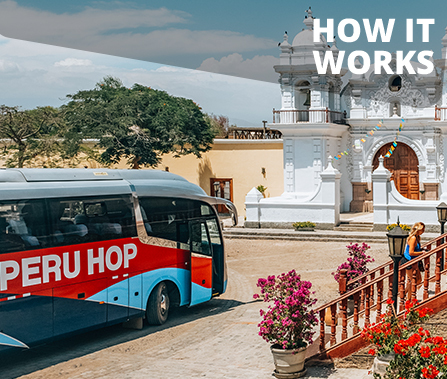 The average age of passengers on our bus is between 25-35 years old, however we have had quite a few families on our bus as well as people in their 70s and 80s, and below we can explain the type of passengers we have on board and why Peru Hop suits everybody! The hop on hop off bus is absolutely perfect for backpackers because of the flexible nature of our passes. Backpackers hate fixed itineraries and being told what to do. So, being able to travel in comfort and safety but also being able to decide where and how long to stay, where to eat and what to do at every destination is ideal for this type of traveller. On top of all that, our exclusive discounts on hostels at every destination help all those backpackers who are on tight budgets to maximise their time in Peru. 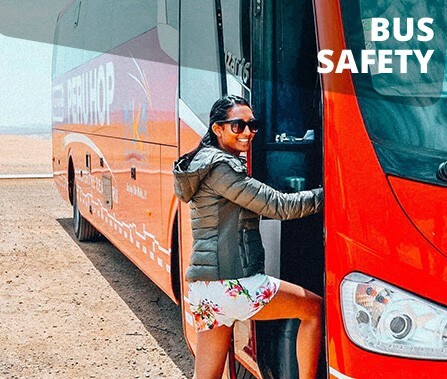 We get a lot of solo travellers (especially female) on our buses as the safety Peru Hop offers is second to none. With us, there are no unsafe taxis or dangerous bus stations. 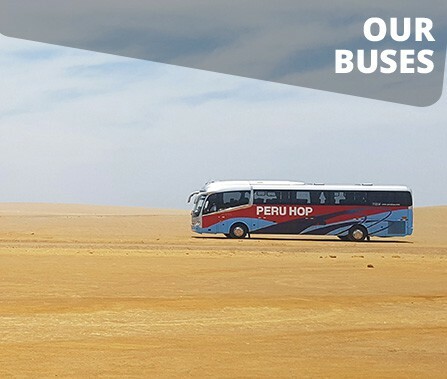 Our buses are also a great way to meet other people and often we host people who have travelled alone but then continue their travels together with others to Bolivia or Chile having met on Peru Hop. 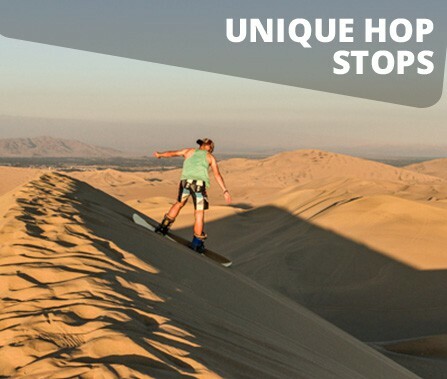 Peru Hop has incredible prices on private rooms in hostels and hotels at every destination… prices that simply cannot be beaten. Normally agencies get commission on hotels and hostels, but we reject this commission and instead use it as a discount for you guys to get the best rooms at the best prices…just another benefit of hopping with us! As stated above, we have had travellers as old as 70 and 80 years old who have loved Peru Hop because there is no other bus or tour in the country that provides the level of cultural knowledge that we do at each destination. Our guides give excellent information about each destination, and we can also help recommend restaurants and hotels that suit your budget. Remember, if you are celebrating your 25th Wedding Anniversary and want to stay in the Hilton Paracas, that is no issue at all…you can stay wherever you want, we just help you get there! DID YOU KNOW: A little more than 40% of Peru Hop passengers are over 30 years old! Moving around families of 4 or 5 (or bigger!) 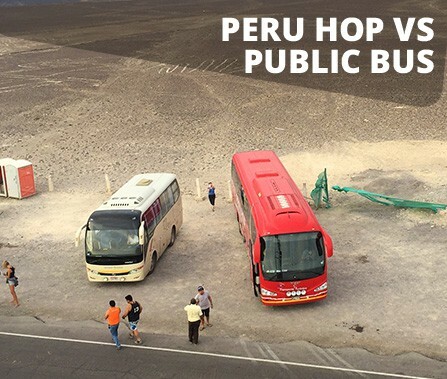 is obviously quite stressful, especially in a non-English speaking country where you need to take taxis and buses etc.. Peru Hop takes all the stress away. We have had families on board, and what they have all loved is our guides helps and assistance with their family to ensure they have the safest and most comfortable vacation possible in Peru. Peru Hop has a 96% rating on Tripadvisor with over more than 1,000 reviews! We work extremely hard to ensure you have the best and safest trip possible in Peru! Still not sure if Peru Hop is for you? We recommend you read 10 reasons why we think you should hop with us, or any of the blog posts or Tripadvisor reviews written about us. We are not perfect but you will see that people of all ages have been, in general, extremely happy with our service and it is something that we are very proud of! So, young or old, book a ticket and hop on with us today!